Stunning single story jewel nestled in the exclusive community of Bella Lago at Aviara. Coastal living is personified in this beautiful Carlsbad home across from the spectacular Batiquitos Lagoon. Soaring ceilings greet you at the circular entry and continue throughout the home. Two story windows capture the lush landscaping and serene privacy of the wrap around lot. French doors offer easy access to the entertainer's dream backyard. See supplement., Inside the newly painted home offers formal living and dining rooms that flow seamlessly into an expansive gourmet kitchen and family room. Features include luxury SS appliances, gleaming quartz counter tops with subway tile back splash and custom light fixtures. A spacious pantry and dining nook complete the space. Cozy gas fireplaces warm the living and family rooms. The gorgeous master suite offers ample space with two story windows to capture the light and park like setting. The luxurious master bath offers dual sinks, soaking tub with large separate shower and walk in closet. A unique feature of this stunning master suite is the access via a short hallway to the laundry room for easy access. An architectural delight central to this stately home is the circular staircase leading to a loft that also has private access from the master bedroom suite. 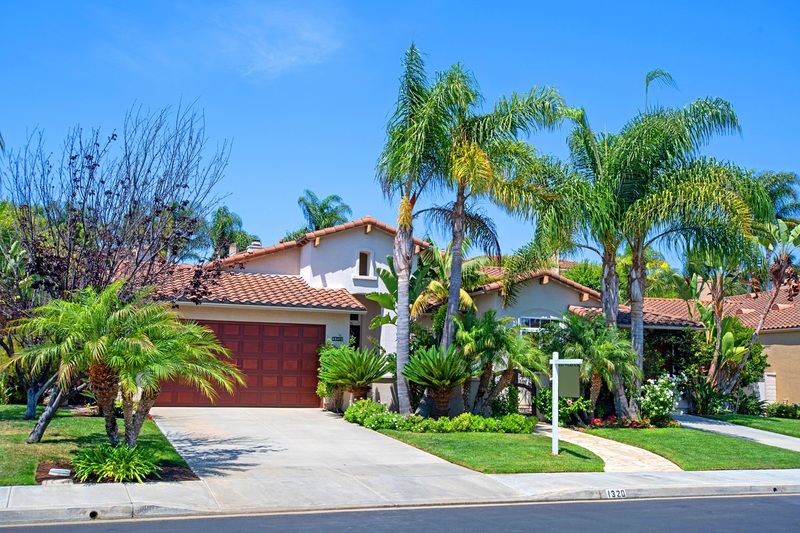 This tranquil home is located within walking distance to the lagoon, world class Aviara Golf, award winning schools, hiking trails and gourmet restaurants.